The Lenovo A820 is a dual-SIM phone appreciated for its high performance at a very low price, coming with a good price/quality ratio. Released in March 2013, this device looks just like any other Lenovo models and comes with a fat battery that last over 24 hours, which is very impressive for a smartphone. A very important feature of this phone is that you can set it to automatically shut down and on at specific times of the day or on specific days of the week. Therefore, it is perfect if you do not want to be disturbed by different notifications in the middle of the night or you want to save your battery. Although this device is a great phone, sometimes it happens to become unresponsive and you may notice that your device is not working properly; error messages appear frequently or the user experiences longer loading times. 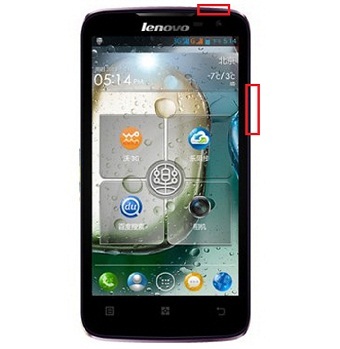 In this case, it’s necessary to perform a hard reset procedure that will restore the Lenovo A820 to factory settings. The Lenovo A820 comes with an ARM Cortex A7 MP Core processor of 1.2 GHZ. Besides that, it’s packed with 1 GB of RAM and 4 GB of memory with a Micro SD card port. The IPS capacitive touchscreen supports multi-touch and the 4.5 inch diagonal is a great size. Also, this phone runs on Android Operating System Jelly Bean, which is a great feature. Now press the Volume Up and Down keys, alongside the Power key, and keep them pressed until a menu appears on the screen. Using the Volume buttons to navigate, scroll to Wipe Data/Factory reset and use the power key to select it. Wait for the process to complete and let the smartphone reboot. Enter the phone menu and select Configuration. Lastly, choose Wipe Data to confirm and your device will restart. Thanks, my phone doesn’t turn on and I want to reset it, but the menu is in Chinese. how I can change it to English, or please put me its translation. I’m sorry, but I don’t know how to do that. Maybe someone that has this phone can write some steps with the location of the language menu? Anyone? Hi everybody, I have a problem with my lenovo A820 that is simply dead. it won’t start in the normal way, neither by a hard reset (power on + both volume keys. Can anybody help me? I’m really desperate for a solution. Did something happened physically with the phone? You dropped it in the water or stuff like that? Can you offer more details? The phone didn’t receive any shock neither was plunged into water or exposed to the rain. It simply started to boot with problems, with the internet sim sometimes it was impossible to call or navigate, then the problems became more frequent and started earlier in the boot sequence; two days ago it began to go on a loop during the boot sequence and simply didn’t start. I tried to boot several times after removing and placing again the battery until it simply died. No response with the power on button. So I tried with the hard reset procedure, it switches on but it goes off again before the factory restore procedure is complete. after a number of attempts it simply doesn’t start not even in the recovery mode. Maybe it’s a hardware problem.. Yes, it looks like a hardware problem, one that cannot be fixed through a simple factory restore. I’m sorry for that, but you must take it to shop and get it looked. 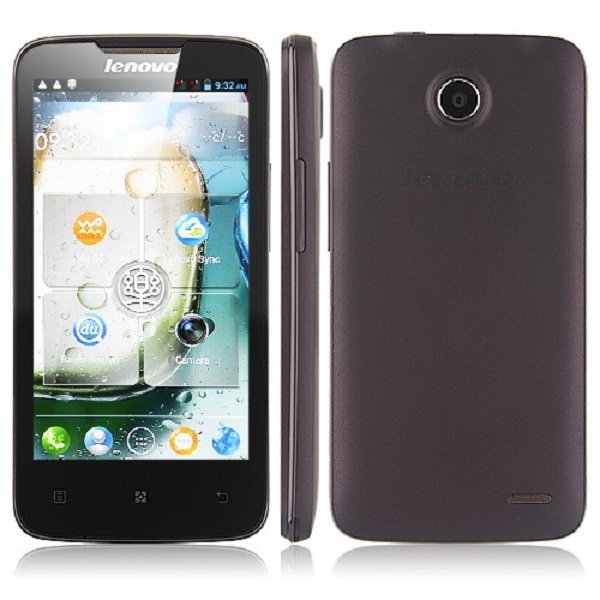 I’m trying to star my lenovo A820 in factory mode and reset the touch screen that has probably been out of set. down you find the image of my factroy mode options. I hope somebody find that useful. out of that i’m trying to start the sensor calibarion but pushing on power buttom it do not start anything.. how can I go ahead? does anybody know how to enter the choise in the menu? eventually I turned out how to restore the touch screen. first of all in lenovo A820 there is two start menu, the chinese appear if you press “power and vol+” and I was not able to use it completely, some chat state that you can run the options listed using start but when i press it nothing appen. another start menu is in eglish and run if starting using “power and vol-” this is much easier and enable the user to revert the settings to factory settings. after unplug the touchscreen connection I inserted with it a small piece of cable connection of another old touch screen, just to see if the connector needed an help. turning on the phone no start, the booth idle on Lenovo start picture… so I turn it down, took out the cable connection added and replugged the touch screen alone.. and Wow restarting all work fine!!! So do not give up try to save you A820 from die! !